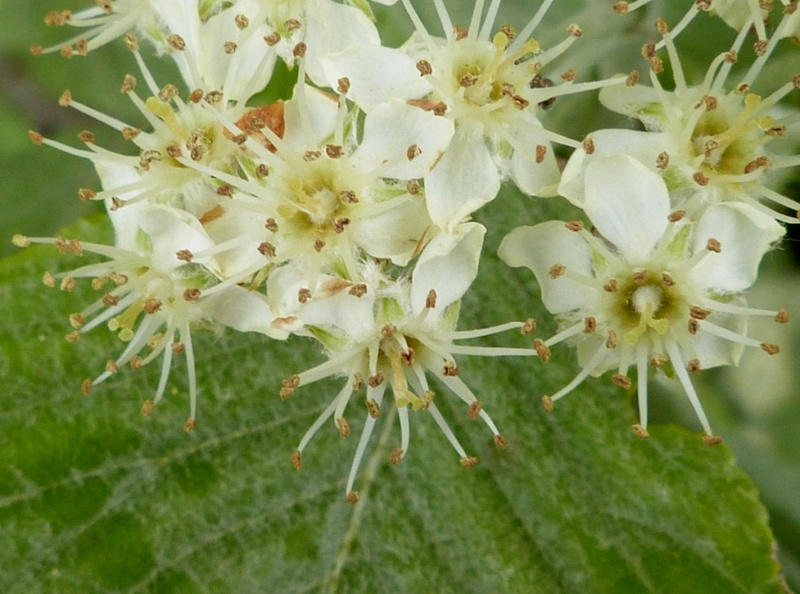 Common Whitebeam agg. - Sorbus aria agg. The pictures shown are representative of the group. Medium sized tree to 25 metres. 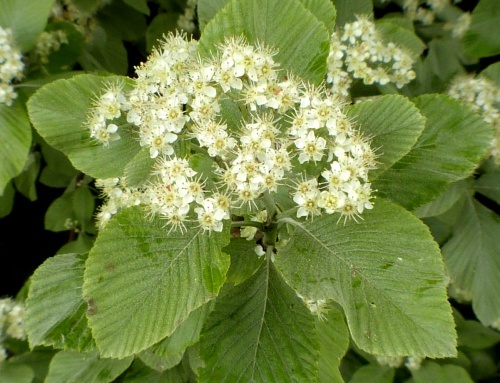 Leaves oval to elliptical, toothed, dull yellowish green above, densely white downy beneath. 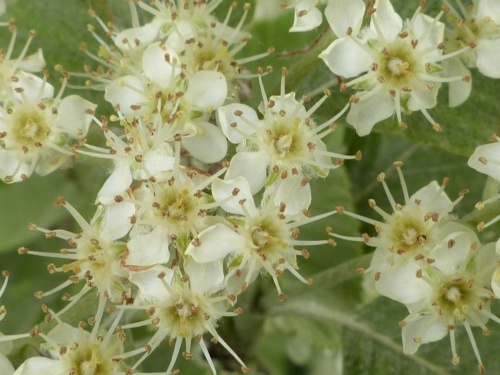 Flowers white, 10 to 15 mm in dense flattish heads. Berry scarlet when ripe. Woods, and hedgerows, often planted. Found north to the Wye valley, but not common. Uncommon in Leicestershire and Rutland but possibly increasing due to the nauralisation of planted specimens. 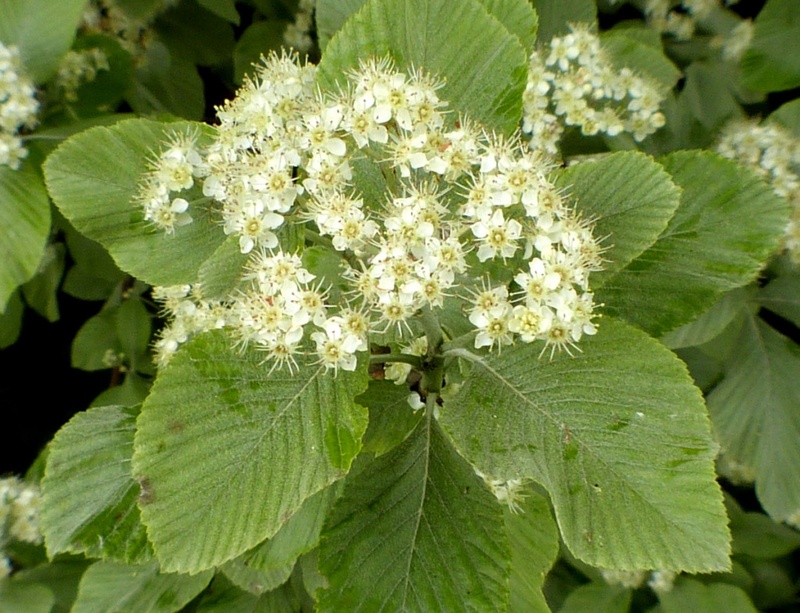 In the 1979 Flora survey of Leicestershire it was found in 13 of the 617 tetrads.